Just the eight player to hit 50 when he scored Ballingarry Bs consolation against Glantine Rovers B in a 3-1 Division 3 League Cup home loss on April 12th 2015. However this was not the first scoring headline the centre forward created as he became the first player in the clubs history to get five in one game in a 10-0 win against St Itas B, also a league cup game the previous May. 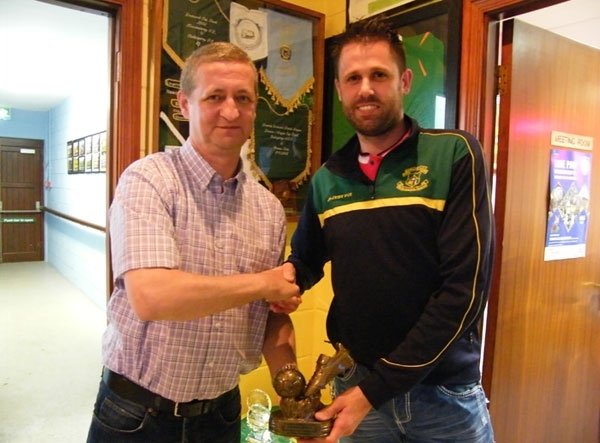 Having debuted for the clubs A team in 2006 he scored his only A team goal and first club goal in the Desmond cup his remaining 49 goals have been for the B team. His most prolific season was 2008-09 when he registered 12 goals in total, 9 of which were in the league as the B team won the division 3 title. Since then he has scored in every season for the club reaching the 50 mark in 108 games, just under a goal every second game which represents an excellent scoring ratio. He has scored in every competition he has represented the club in.